It feels like just a little progress but judging by the last picture that I’ve shown a lot has happened in the meantime. 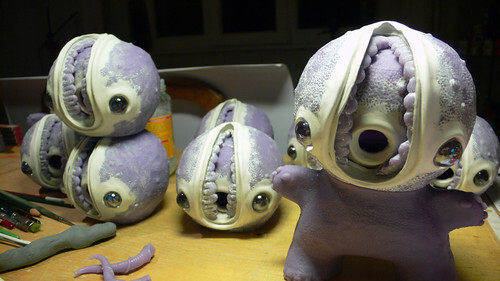 I sculpted some lips around the mouth and also designed the eye sockets. After some experimenting with the brain (see my earlier post) I decided that I would not be using these parts and instead went for the pieces that I removed from the head in the beginning. The tongue will end up in the middle hole, I suppose?